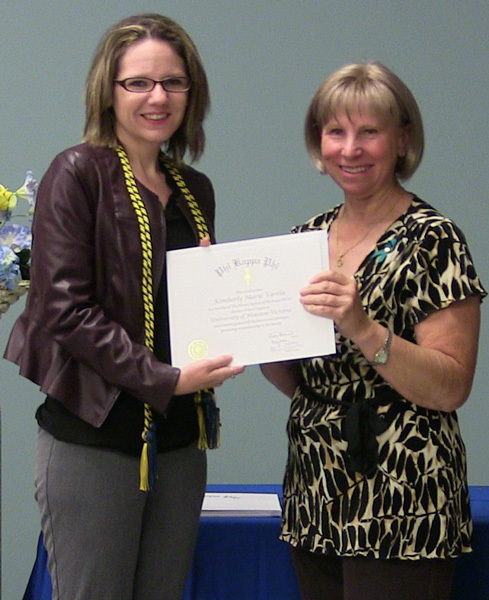 Kimberly Marie Varela of Cuero, left, receives her Phi Kappa Phi membership certificate April 11 from Sandy Venneman, UHV associate professor of psychology and the honor society’s president, during the society’s induction ceremony. Varela was one of 18 students who joined the society. An international honor society recently welcomed 18 University of Houston-Victoria students to its local chapter and acknowledged their academic excellence during a special ceremony. The Phi Kappa Phi UHV chapter induction ceremony welcomed eight new members. Fifteen family and friends also were present at the April 11 ceremony. Members who were unable to attend will receive their certificates by mail. UHV’s chapter, which has been in existence since 1982, annually invites students who have demonstrated academic distinction in each of UHV’s schools: Arts & Sciences; Business Administration; and Education, Health Professions & Human Development. In addition to inducting new members, the society also swore in a new group of officers. The new president is Sandy Venneman, associate professor of psychology; and Dmitri Sobolev, associate professor of biology and last year’s president, will serve as vice president. The new treasurer is Daniel White, associate professor of biology, and Jerry Hu, assistant professor of mathematics, is the new secretary. 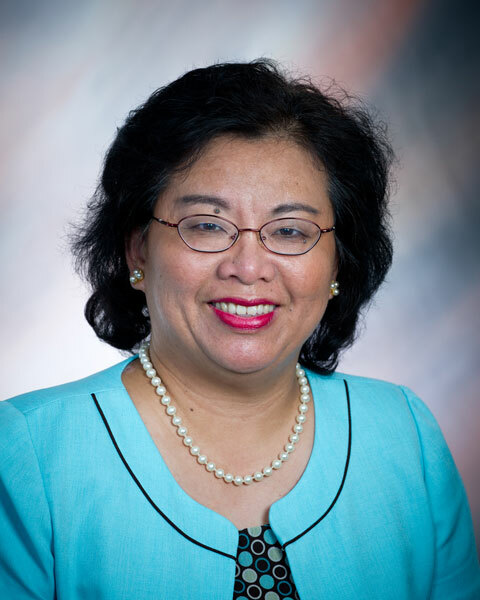 Lin will continue serving as the public relations officer. Kimberly Marie Varela, a UHV student from Cuero, will serve as the student vice president. To be invited to join Phi Kappa Phi, students are required to complete 72 credit hours and rank in the top 7.5 percent of their class. Seniors and graduate students also must rank in the top 10 percent of the students in their school. Phi Kappa Phi members are eligible to apply for a variety of grants and awards for further education and professional development. For more information about Phi Kappa Phi, email Lin at linh@uhv.edu.